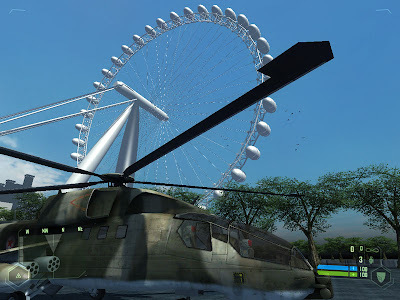 An update post and movie detailing our progress on importing our Virtual London model into Crysis. We have now been working on the model for little under a week at CASA and progress is good, the geometry has been extended out to Tower Bridge and we are experimenting with various texture configurations. 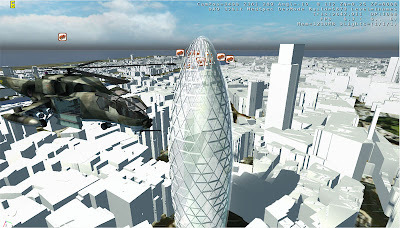 The move from holding the model in a fully functional Geographic Information System, aka ESRI’s ArcScene to SketchUp, 3D Max and a finally into the Crysis Sandbox has been interesting. The engine is probably the most powerful on the market today and the speed in which it is possible to work is refreshing. We will have more updates and a tutorial as soon as the workflow is finalised.